BOYSTOWN — A 44-year-old man was robbed at knifepoint by two offenders near Patterson and Broadway on Friday evening, police said. The victim was walking when two strangers approached, displayed the knife, and demanded his property in the 600 block of West Patterson around 10:30 p.m. Taken were the victim’s Louis Vuitton black computer bag containing a MacBook and iPad along with a red, black, and gray backpack. One of the offenders was described as male, black, about 5’10” tall, 140 pounds, 30-years-old, with a goatee and short hair. He wore dark clothing. NEAR NORTH — A woman told police that an unknown man stabbed her with a syringe and sprayed her with a liquid near State and Maple on Wednesday evening. The victim told police that she felt a pricking sensation but that she did not know if she had been injected with any substance in the attack around 6:45 p.m. The offender was last seen walking southbound on State Street. He’s white with shoulder-length curly brown or black hair. He was wearing a white jacket with blue details, according to the victim. 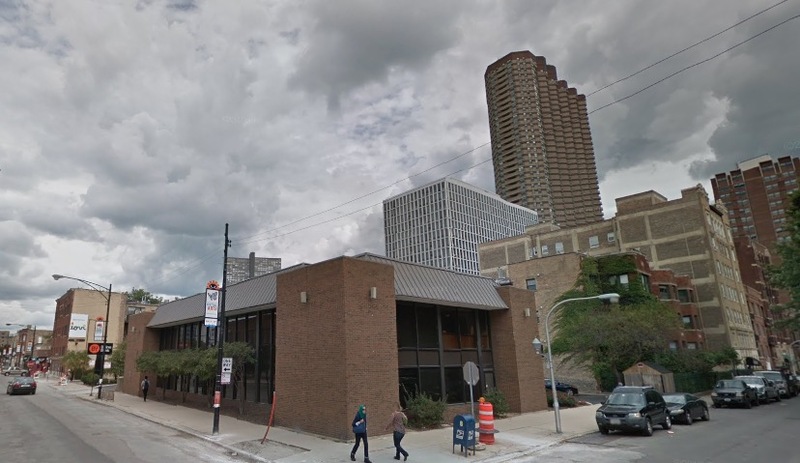 LINCOLN PARK — Police say a man was robbed at gunpoint as he took money from an ATM around 2:30 a.m. on Saturday. The victim was at the Chase Bank, 2170 North Clybourn, when two offenders approached him, produced a handgun, and demanded his money, the man said. After taking the man’s cash, the two fled in a dark-colored sedan. The victim said the offenders were two black men between 25- and 30-years-old who wore dark clothing.